Flower Mound is 32.1 square miles of heavily wooded hills on the shores of Lake Grapevine in south central Denton County. Flower Mound is located just 15 minutes from either DFW International Airport or Alliance Airport, the nation's first industrial airport. This city is a beautiful north central Texas town and is one of the top ten fastest-growing communities in the United States. 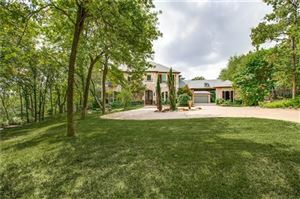 Flower Mound’s low tax rate, excellent school system, safe neighborhoods, and a quality of life hard to find in any community, make it one of the premier cities in the Dallas/Fort Worth Metroplex to live and raise a family. With a population of over 67,000, Flower Mound is the tenth fastest growing community in the United States in its population category, having grown 230.4% over the past 10 years. The town, however, has a comprehensive Smartgrowth management plan that has encouraged controlled growth. The average appraised home value in Flower Mound is $278,000; average apartment rent is $1405. Flower Mound’s average household income is $113,683. For shopping, Flower Mound is located only minutes away from Grapevine Mills mall in Grapevine with more than 1.5 million square feet of retail space and Vista Ridge Mall in Lewisville with over 160 stores. Flower Mound is served by Lewisville ISD, but a small portion in the western part of the town is served by Denton ISD and Northwest ISD. Higher education is available at more than 35 institutions within easy commuting distance. For those interested in sports, Flower Mound offers municipal and private golf courses such as Bridlewood Golf Club, tennis, swimming, and other team sports. For fishing, boating, and water sports, Flower Mound residents enjoy Lake Grapevine and Lake Lewisville or the many other area lakes that are within close driving distance. Flower Mound’s proximity to the Dallas Metroplex opens a wealth of recreational and cultural opportunities, including Texas Motor Speedway, Six Flags and Hurricane Harbor, The Dallas Cowboys AT&T Stadium, the Texas Rangers Globe Life Park in Arlington, and the symphony halls and art museums of Dallas and Fort Worth.